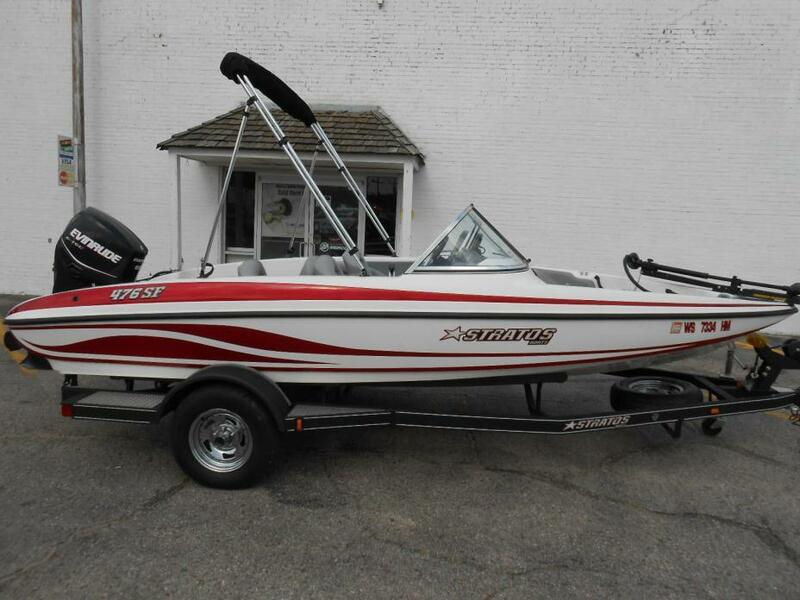 1987 Stratos 200 VT, 1987 Stratos 200 VT ski boat equipped with 175hp Evinrude outboard motor. 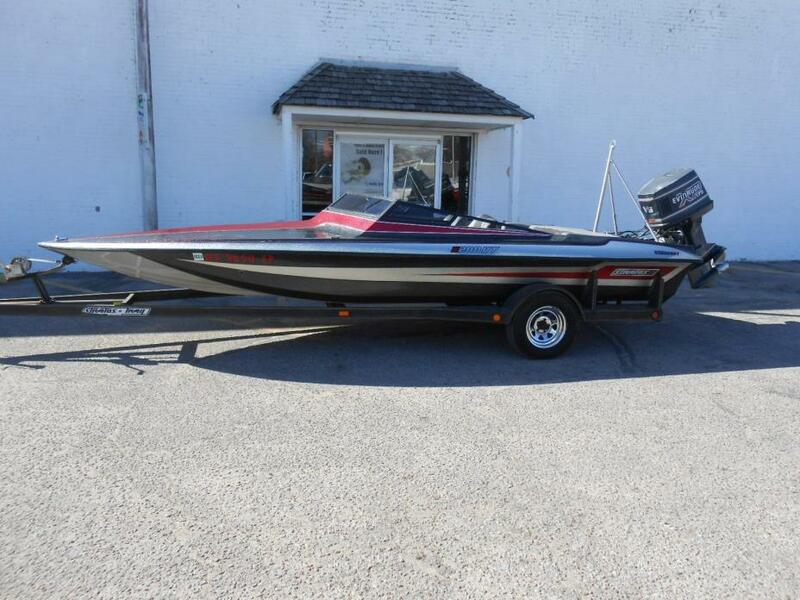 Boat includes stereo, ski tow bar and single axle trailer with wind guides. Please call before coming to view as our inventory changes location frequently. 1994 Stratos 284, 1994 Stratos 284 equipped with Evinurude 150 hp outboard motor and Motorguide Tour 24V trolling motor. 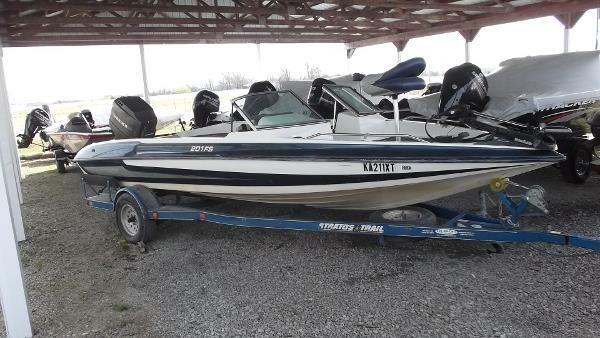 Boat includes strap cover, wind guides, and single axle trailer. 4 person capacity. Please call before coming to view as our inventory changes location frequently. 1994 Stratos 270 1994 Stratos 270 -Johnson 150hp outboard -MotorGuide 71lb 24v trolling motor -Humminbird fish finder (console) -Humminbird 737 GPS graph (bow) -Very nice boat! 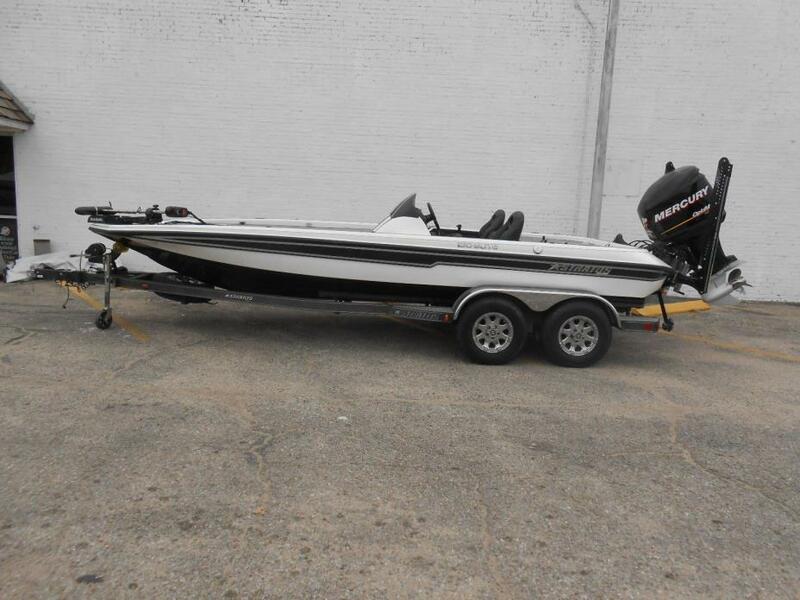 2012 Stratos 210 Elite, 2012 Stratos 210 Elite equipped with Mercury 300 hp outboard motor and Motorguide Tour 36 trolling motor. 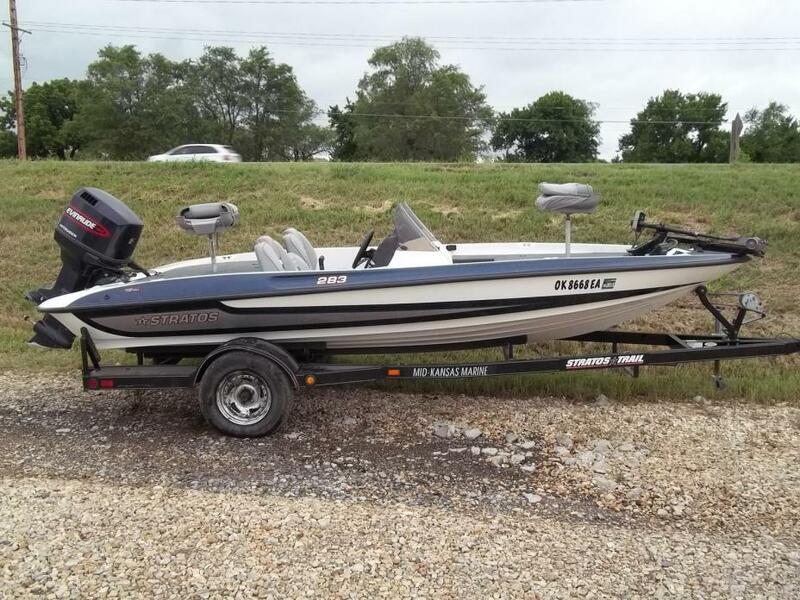 Boat includes strap cover, rear ladder, livewell, hydraulic steering, 4 bank battery charger, bike seat, regular fishing seat, hotfoot, turn style tilt/trim, hydraulic jack plate, blade two 8' power poles, Lowrance HDS7 depth finder on dash, port & starboard rod storage, LED lights in storage compartment, retractable transom tie downs, and tandem axle trailer with stainless steel fenders, swing tongue, brakes and LED lights. 5 person capacity. Please call before coming to view as our inventory changes location frequently. 1998 Stratos 201 FS 1998 Stratos 201 FS Fish/Ski combo, 20' length, '96 Mariner 200hp outboard, Motorguide FW-FB 71lb thrust trolling motor. Single-axle trailer w/spare. 2008 Stratos 476 SF, 2008 Stratos 476 SF equipped with Evinrude E-tec 90 hp inboard/outboard motor and Minn Kota Edge 12V trolling motor. 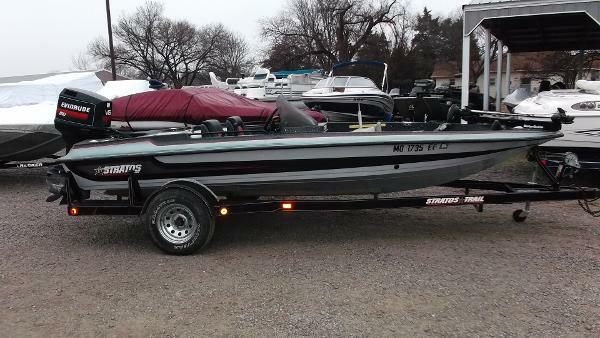 Boat includes bimini top, rear ladder, livewell, depth finder and single axle trailer. VERY GOOD CONDITION! Please call before coming to view as our inventory changes location frequently.